This Cartoon Network game I designed in the style of The Amazing World of Gumball is inspired by Japanese Pachinko machines and allows users to drop, bounce and ricochet balls to hit targets and earn points. 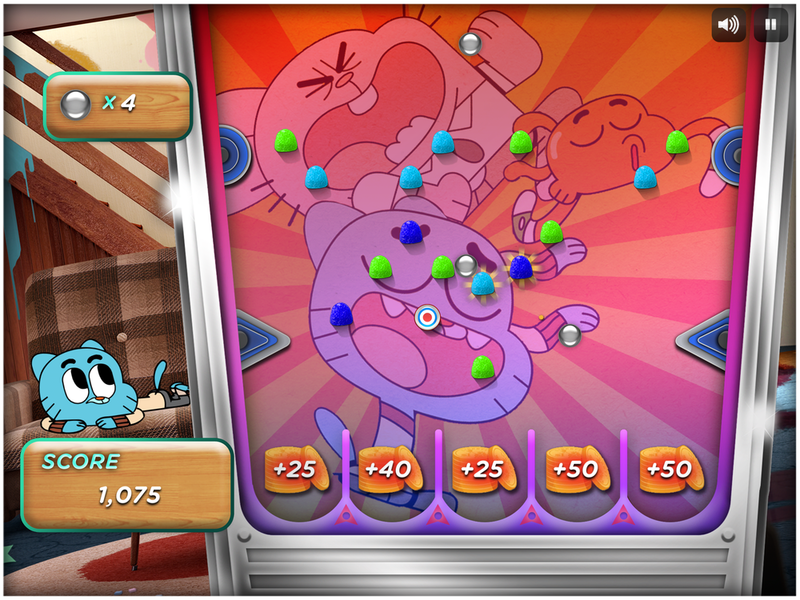 Users must clear all the target pins from each round, bouncing through the various candy gumdrop obstacles. Yellow pins multiply the balls upon impact, while the bouncy pins accelerate the activity creating an overall frenzy of site and sound. This game is packaged with the official Cartoon Network app for iOS designed by Funny Garbage and was available with the app update upon release.